Hello and Welcome! I am licensed as a professional counselor Colorado, Wyoming and New Mexico, and a licensed addictions counselor in both Colorado and Wyoming. I have a Masters Degree from the Naropa Institute in Boulder, Colorado and a Bachelors degree from the University of California at Santa Barbara. I have been in the field for over 30 years and gradually gained experience with a wide range of issues including but not limited to depression, anxiety, addictions, legally required treatment due to alcohol and/or drug use, PTSD, self-esteem issues, and many others. My degree is in Transpersonal Counseling Psychology. As a result my approach is eclectic. This means that I will draw from different aspects of psychology and even other disciplines when appropriate. When working with others I do my best to meet you where you are and treat you with respect, dignity and compassion. I am trained as a Sedona Method® facilitator and offer this effective technique whenever appropriate. I also have my own therapy dog name Atley who is a 6-year-old boxer. He is very sweet and likes to help people feel better. I have learned a lot from his gentleness and directness. In addition I am a board certified music therapist. I understand and have experienced myself that life brings many surprises and unexpected transitions. I will do my best to invite to focus your attention in the present moment and guide you to let go of unnecessary pain and suffering and bring forth your authentic Self. Congratulations on taking the first step toward moving forward with your life! She's great. And makes you relaxed and accepting of situations. That has enabled to resolve many of my relationship issues and my relationship with my boyfriend, colleagues is much better and improving. The few months I've been talking to Jill have had a great impact on my mental health and general approach to life. I'm confident she's the best fit for me and would and have reccommended BetterHelp to anyone considering therapy. Jill is amazing, she is quick to respond, and the energy I felt talking to her was calm and welcoming, all of the time she spent helping me is really appreciated. Jill has helped me so much along the way, she listens and has provided insightful options and helped me better manage my life. Jill is a brilliant listener with the best attitude. She develops an environment where you feel comfortable to share any issues you might be facing. She constantly shares helpful ideas and techniques to support through any concerns. You’re amazing at what you do, thanks Jill!! Love the connection I have with Jill. Felt connected right away. She is so good about reaching out to me and checking in also. I am very grateful to be able to work with Jill. I have been struggling through several huge transitions all at once. When I tried to find a therapist through traditional methods (Insurance companies, etc.) I was told I couldn't get an appointment for months. BetterHelp is wonderful. I was able to get help immediately by email or phone. Jill responds in a timely manner. She is great! 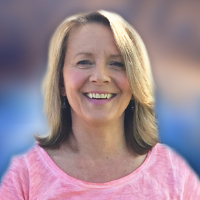 I found Jill to be very responsive, caring and adaptable to my needs, allowing me to get the insight and direction I was seeking in a very short time. Way better than traditional face-to-face counseling! Would you like to write a review for Jill Koehn? We'd appreciate if you can spend a couple of minutes to write a short review for Jill Koehn. This review would be shared with Jill Koehn. It may also be posted in our website or in Jill Koehn's profile but it would be anonymous and your identity would be kept completely confidential.